There is a new meeting place where healthcare is taking place – and it’s not just in hospitals. Consumerism has created massive shifts in the healthcare environment, and healthcare organizations that wish to succeed will have to meet healthcare consumers in this new meeting place to remain competitive. 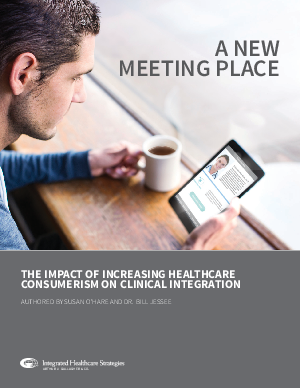 Our latest whitepaper, A New Meeting Place: The Impact of Increasing Consumerism on Clinical Integration, acts as an executive-level guide for organizations, giving insights into convenience of care, technology integration, and pricing competition and transparency.